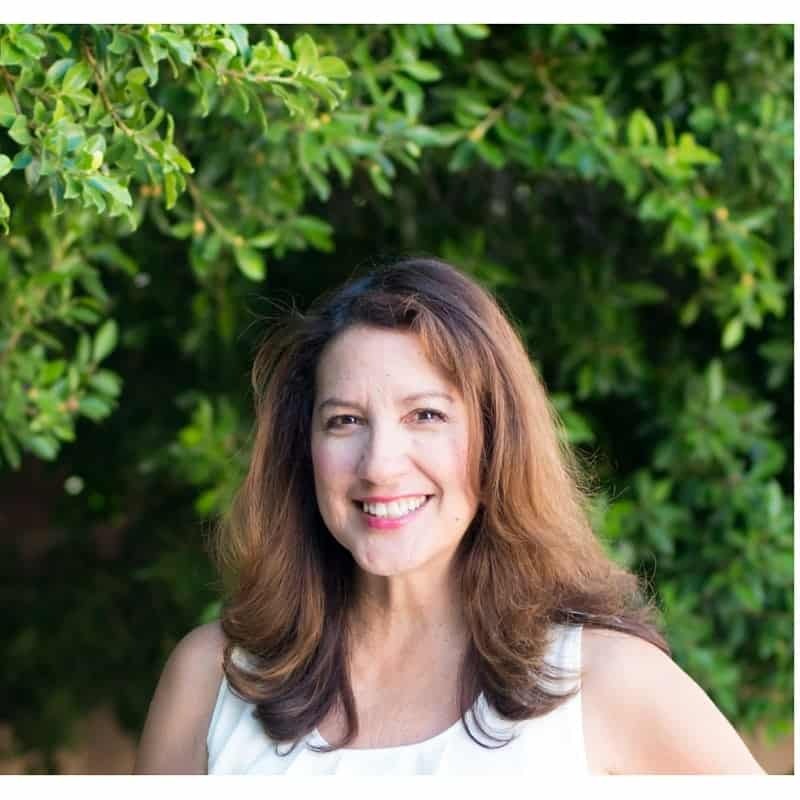 With the warmer months nearly year, I find myself trying to incorporate more healthy, low-fat recipes into my menu planning. I know I really should be incorporating these EVERY month but the reality is that I tend to focus more on it during the warmer months. 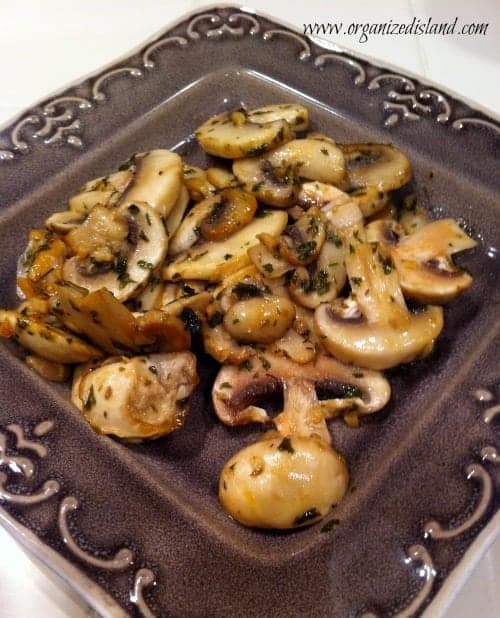 This delicious and simple stovetop buttered mushrooms with basil recipe is not only a great vegetable side dish idea, but it is also incredibly simple to make. 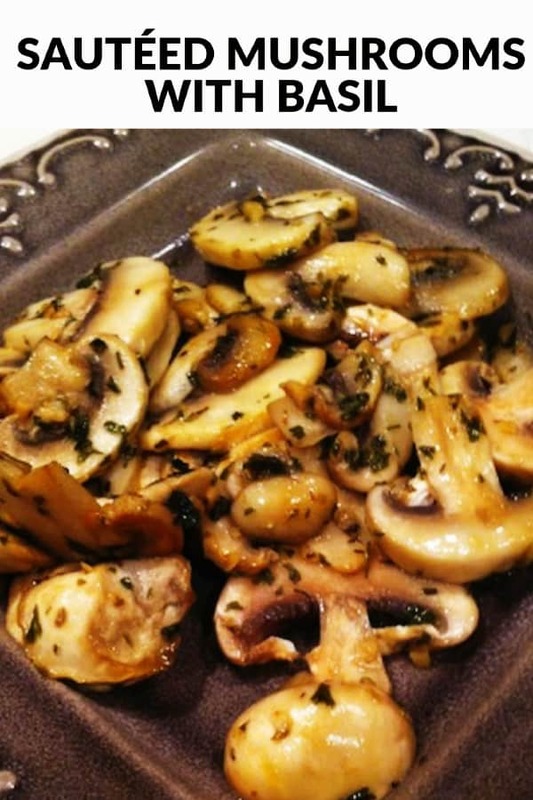 I like to use white button mushrooms or cremini mushrooms, but you can use any type of mushroom for this recipe. 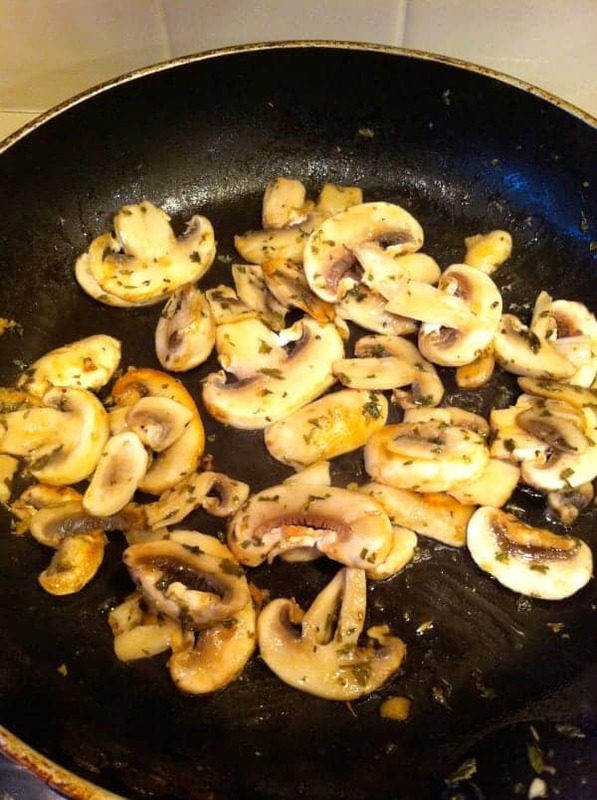 They are sauteed in a butter and herb mixture that truly highlights the flavor of the fresh mushrooms. Hello Friends! I hope you are having a wonderful week! 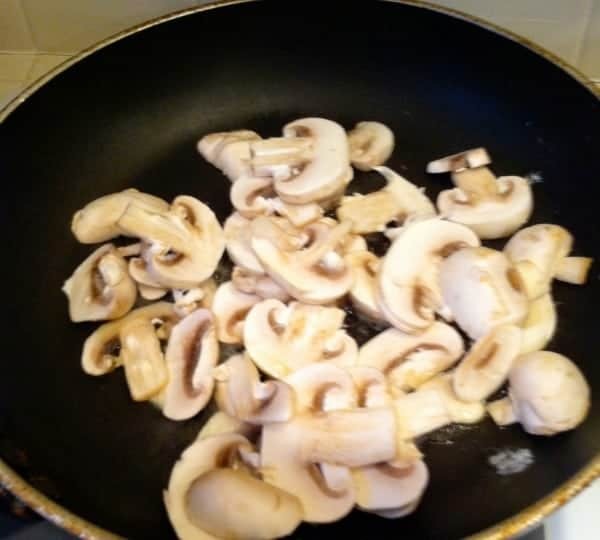 Today I thought I would share a very simple, but tasty recipe for simple sautéed mushrooms that works nicely as a side dish or as a baked potato topper. This recipe is also Weight Watcher friendly. Great for balancing out those indulgences of hearty casseroles and baked deserts that we love! 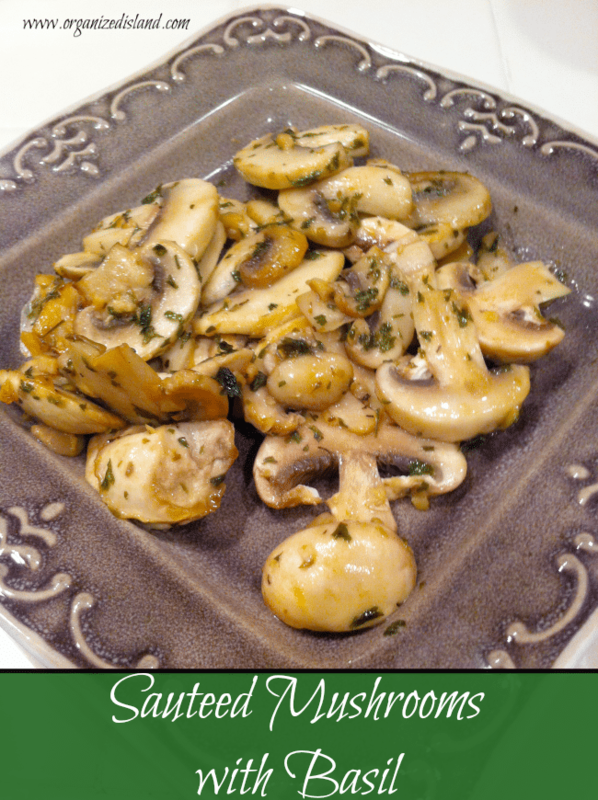 You can use any type of mushroom and it comes together quickly on your stovetop. I originally shared these the second year on the blog, but I know some of you may have missed them and they are that good! You just saute in a little butter and herbs. And it is ready in minutes. Grilled Bacon Parmesan Asparagus – Perfect for a side dish for a weeknight dinner or holiday meal. Roasted Vegetable Soup – A delicious soup idea to incorporate fresh vegetables of the season. Corn Salsa – A colorful and flavorful salsa that is a perfect side dish and will brighten up any meal. 3 cups fresh mushrooms, cleaned and sliced. Over medium low heat, melt butter in sauce pan. Add sliced mushrooms. Add garlic, salt, pepper, basil and oregano. Heat about 4-6 minutes until mushrooms are browned. It is a super tasty dish and makes 6 half-cup servings. 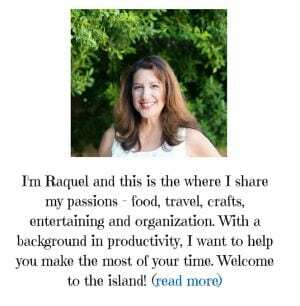 Want to see more recipes, organization and entertainment tips? Be sure to follow me so you won’t miss a post. Looks delicious! I’m always looking for new side dishes and this one is worth a try. Thanks for sharing. Thanks Gracielle. It is really easy to put together and does taste great! Thanks for stopping by. Jeans, boots, sweaters, and delicious and warm meals. The best! I could eat this all by themselves but I can also see them topping rice or pasta and calling it dinner. I just love mushrooms! I want this every day. Looks so delicious!!! Would never think to combine mushrooms and basil. Thanks Pattie! It is really tasty! mmm.. seems so awesome. We grow basil so I know we’d love it. Cassidy can’t eat mushrooms and it’s one of the few things he can’t eat but I love them.